Cost: I purchased a 6oz tub at Walgreens for $5.49, However it is widely available and comes in a larger size (8.25 oz). 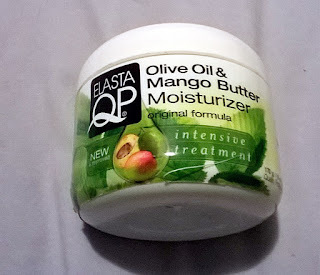 Pros- The Elasta QP Olive Oil and Mango Butter moisturizer has a creamy whipped butter consistency. It smells heavenly and the Cocoa Butter smell really shines through. Due to it being creamy a little goes a long way and your Jar will last for some time. Even though it is a creamy it melts in the hair and does not leave it feeling heavy, greasy or weighted down. Cons- The downside to it being a creamy moisturizer is that if you use too much it will leave the hair looking and feeling greasy. 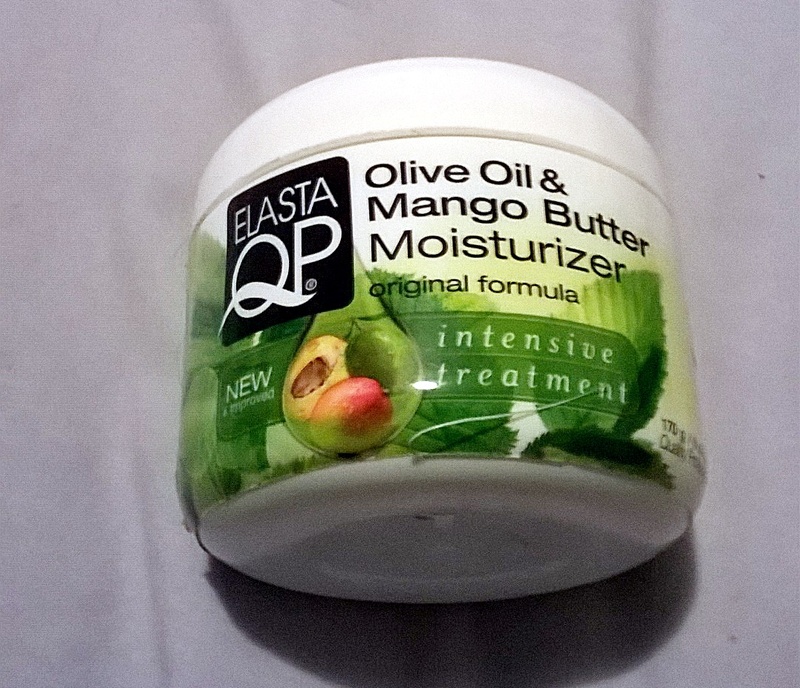 The Elasta QP Olive Oil and Mango Butter Moisturizer is not Sulfate, Parabens or cone free as you can see from the ingredients list. My Take- I really enjoy using this moisturizer and the benefits my hair gained from it. I know from trip around the web that most people use it during the cooler and winter months because of the thickness. However it worked Magic for me during the hot humid summer months, especially my nine days at the beach. Whenever I use this moisturizer my hair stays softer longer and didn’t get that dry crunchy look after being out and about in the sun. I am in love with this moisturizer and I’ve added it to my essential kit. Have you tried this moisturizer? If so, what’s your take? I saw it at the store, but walked away because of the hydrolyzed silk. I'm trying to keep the hair protein-free until I really need a treatment! Thanks for the review!! I really like their leave-in conditioner and I've been curious about the moisturizer. Thanks for your review. I'm going to give this one a try too. I think you will love it, I may try their leave in. Hey, do you think this would be a good product to use for braid-outs etc? Hi Aicha thanks for stopping by..... 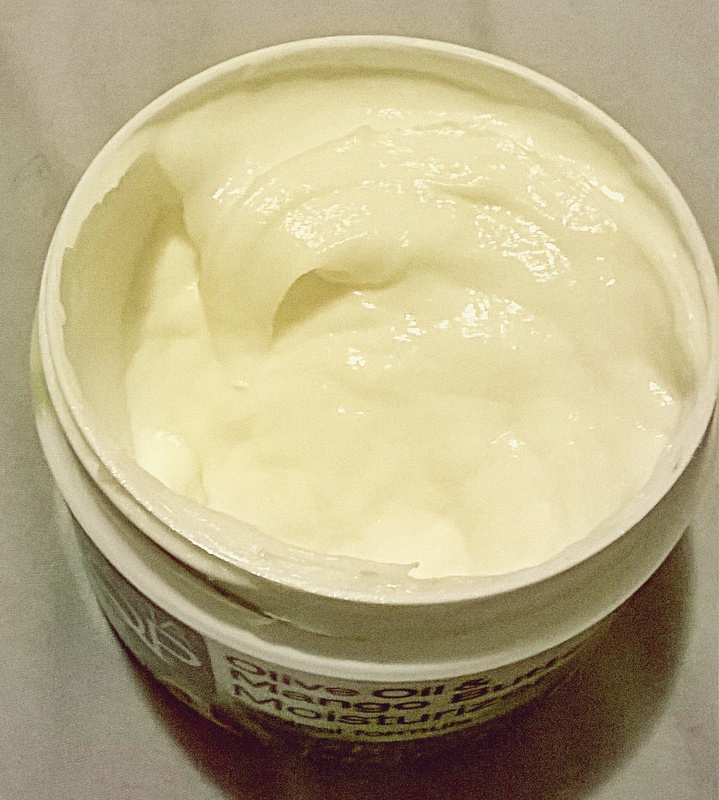 It is a very good moisturizer and is excellent for a braid out, but you may need an holding product to make it last.